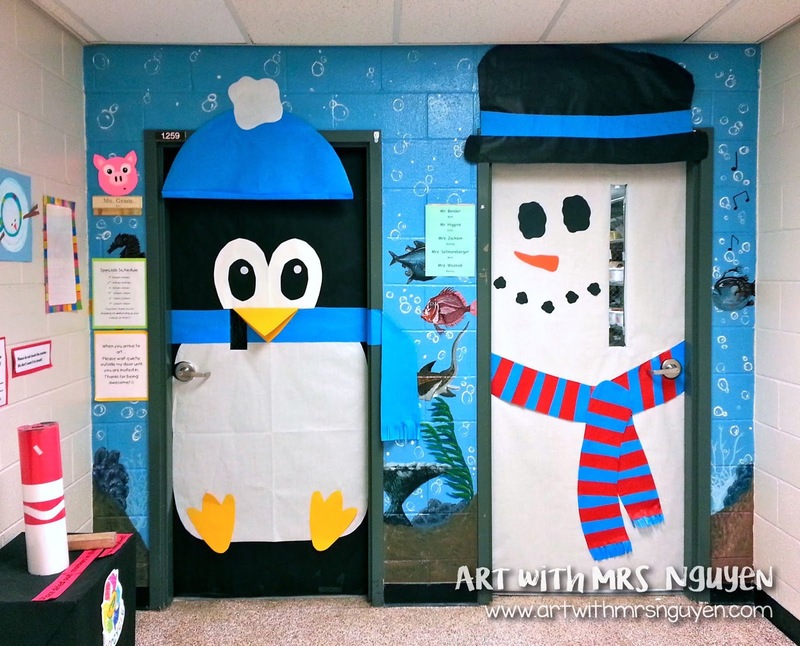 So Wednesday afternoon I was flipping through Pinterest when something caught my eye - holiday-decorated doors!! I've never done this to my door before, so I wasn't sure how easy/hard it would be. 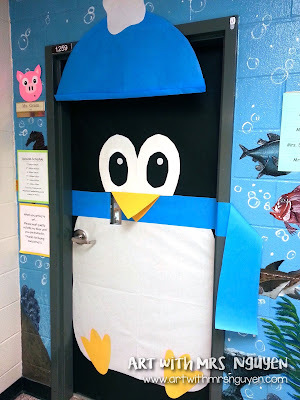 I used butcher paper for the big shapes and construction paper for the smaller shapes on my penguin. It took me about an hour and a half. 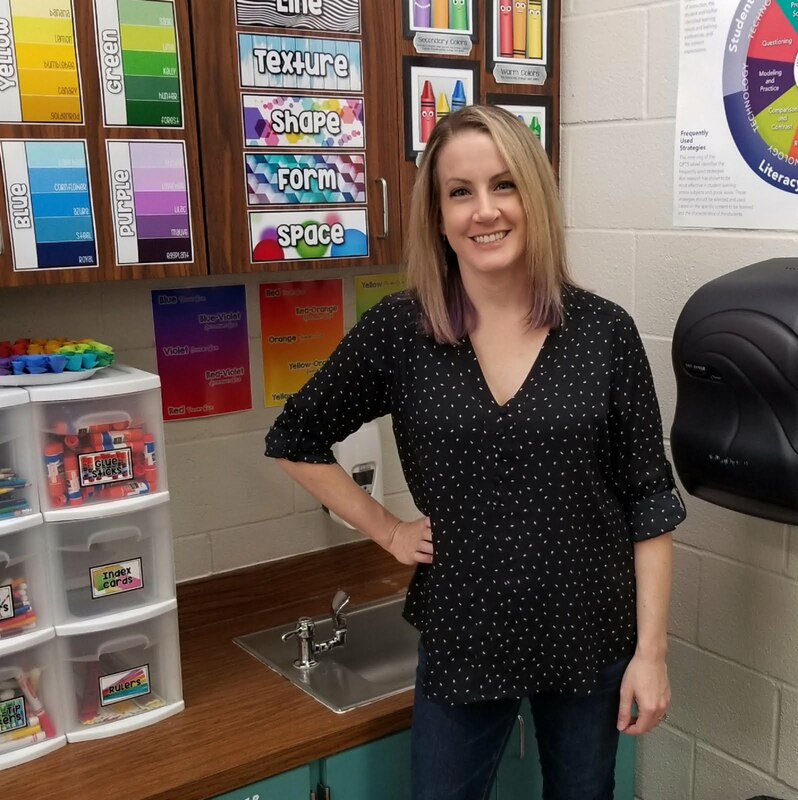 She did an AWESOME job!! Hahah I told her I was going to have to step up my game! The kids LOVE our doors! I love hearing them whisper to each other as they walk past our rooms - "LOOOOOOOOK at the penguin and snowman!!!!!!" They love them so much in fact that I decided to use them as an incentive for a fundraiser I am starting on Monday morning. Along with my other school duties, I am also now heading our yearbook committee. In the past our yearbook has been done rather simply in black-and-white.. no candids.. just kids staring at the camera either in their school portrait and/or in a class portrait. No bueno. But this year we wanted to change things up! So we are doing a fully custom-designed book (NO templates) in FULL color! One of the reasons for only have a black-and-white yearbook in the past was to keep costs low for our students ($15 per book) since we have a VERY high-poverty population. We still wanted to keep costs low.. so for the next month we will be offering the same price of $15 for our yearbook.. and then afterwards the price will go up to the regular price of $19. The yearbook committee really wanted our kids to get a better product for the same affordable price.. so now we are fundraising to make up the $4 difference per book! One of the fundraisers we are doing are "holiday-grams"! Students can purchase a holiday-gram for $1 and send their friends or teachers a holiday card with a blow pop! As an added incentive, the class that buys the most holiday-grams before winter-break will get their own custom-decorated door by yours truly (for when they get back from the break)! The winning class will vote on what they want their door transformed into! Love your door art. I couldn't help noticing your last name. I am married to a Vietnamese man also. I am a technology teacher at a elementary school. I used to teach art.